Facebook - We have a Facebook Group Page and a Like Page - click on the links above to join the group or like us. 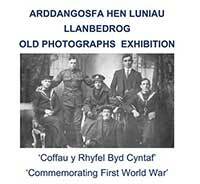 This way if you are a Facebook member you will be kept up to date with what is happening on Llanbedrog. 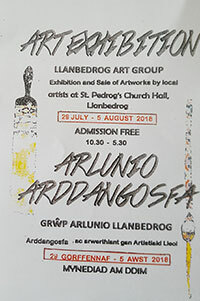 LLANBEDROG ART CLUB (St. Pedrog's Church Hall) - We meet every Monday, 1.30 - 4.30pm at St Pedrog's Church Hall. A friendly art group covering all sorts of art work; painting - all mediums - and textile art. We don't have a specific teacher but all help each other out, as we do have a lot of experienced members who are glad to give help and advice. We do have occasional workshops from local professional artists. 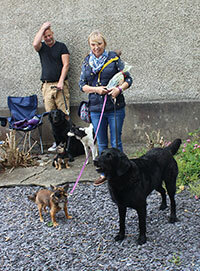 We pay a quarterly fee, which works out at £2 per week and welcome summer visitors who pay by arrangement. or more information, contact Jacky Milton, Organiser, on Email: miltonjacky@gmail.com or Tel: 01758740983. 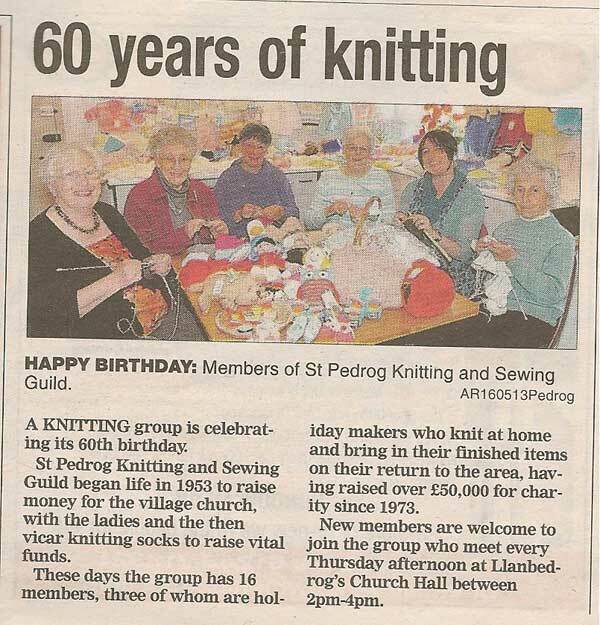 KNITTING AND SEWING GUILD (St. Pedrog's Church Hall) - a group of ladies that knit and sew - new members welcome - come and see have a chat and buy - Thursday's 2.00 - 4.00 details contact Rosie 01758-740184. 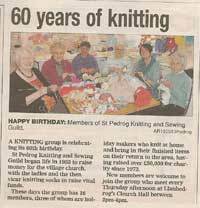 Celebrated 60 years of knitting in April 2013, the group have raised more than £50,000 since 1973 for the church and local charities - congratulations ladies. Click on photo for a bigger version - our thanks to the Caernarfon & Denbigh Herald for the article and picture on left - 23-May-2013 Issue. Our aim is to offer world class acoustic music and tuition to the guitar enthusiast of any level. Whether you want a full guitar retreat experience for a few days or just join us for the concerts you will be most welcome. 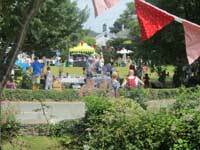 St. Pedrog's Village Fete - 28th July 2018 - 1 pm start - held annually on the village green opposite the church (2018 held in the Church Hall due to inclement weather) , stalls, bric a brac, books, jewellery, plants, Llanbedrog knitting guild, games (splat the rat etc) , kids fancy dress Competition, Dog Competition (arranged by Diane Cartwright Best Catcher, Waggiest Tail, Best Eyes and Overall winner), cream teas at the church, BBQ (arranged by Edmund Cartwright), ice cream (Welsh Maid from Siop Plas Glyn y Weddw) - and more. 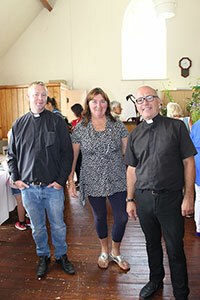 All in aid of much need church funds. 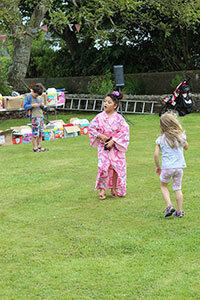 Don't miss out, more pictures in albums on our Llanbedrog Information Facebook page. 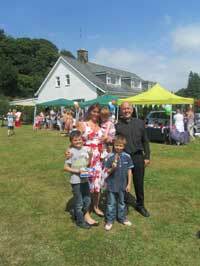 Councillor Angela Russell opens the 2013 St Pedrog's Summer Fete for Rev Canon Andrew Jones - her grandchildren on hand to help! 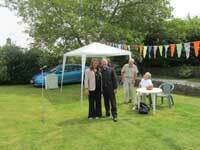 2013 St Pedrog's Summer Fete - stalls and games on the green. 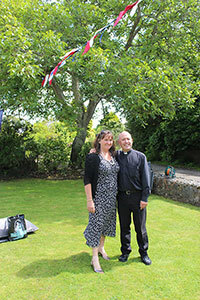 2012 St Pedrog's Summer Fete - Cream Tea anyone? Held at St Pedrog's Church Hall, 10.45 - 5 pm daily. Admission free. (Donations for Welsh Air Ambulance Service). Local amateur artists and crafts on display and available to purchase. 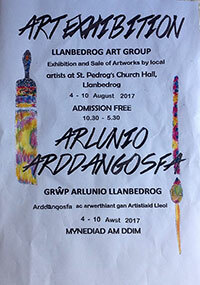 04-10 August 2017 - Llanbedrog Art Group - Exhibition and Sale of Artworks by local artists - St Pedrog's Church Hall Free Admisssion 10.30-5.30. Tickets £15; concession £10; Family £40. Llŷn Acoustic Guitar Festival - Llanbedrog 29th Sep - 01 Oct 2017 - 8th Llyn Guitar Festival featuring The Strawbs,Martin Simpson,Ben Smith and Jimmy Brewer,Keith Newby and Paul Brett. Concerts and Masterclasses throughout the weekend. Ticket holders only. Last year as a really successful weekend where all the events were a sell out. 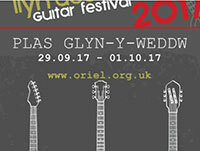 Visit Oreil Plas Glyn y Weddw What's on web site select concerts www.oriel.org.uk/en/whats-on. 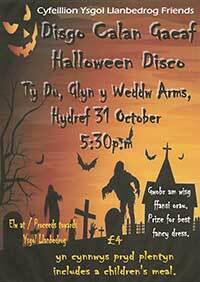 Book weekend tickets from Oriel Plas Glyn y Weddw or call 01758-740763. Wakestock: 10th + 11th + 12th July (CANCELLED FOR 2015) - Europe's largest wakeboard music festival is another annual event. The music festival is held in the Penrhos fields between Llanbedrog and Pwllheli and the wakeboarding itself is held in Pwllheli and Abersoch. Visit their web site for more information. Bob Valentine - The Shooting School - From Shooting to Hen and Stag Parties in their magnificent grounds. Click on the link for up and coming EVENTS or just visit their web site for more information at: www.theshootingschool.com. 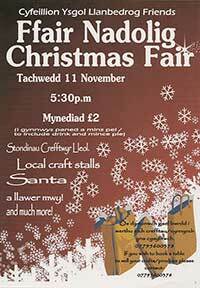 Ysgol Llanbedrog School Christmas Fair - Tuesday 11th November 2014 - in the Community Hall in Llanbedrog, starts at 5.30 pm. It's open to all and is £2 to get in which includes a mince pie and cup of tea. There will also be Hot Dogs and Homemade Soup for sale on the night. They are looking for people to have stalls with local craft or produce - a bargain at £5 per table, contact Miriam (07795-600378) or Lyn to book a table. Donations greatly appreciated- shopping trolley at school entrance for chocolates, sweets, wine, bathroom bits, raffle prizes, Christmas presents etc, also any home made produce cakes, jams, chutney etc. Thanks for your support - Cyfeillon Ysgol Llanbedrog School / Friends of Llanbedrog School. 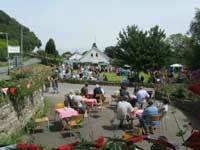 Llanbedrog Art Club Annual Exhibition - 8th - 11th August 2014 - Daily from 10.30am - 5.00pm each day. Free admission come and see - Church Hall. The Daily Post - covers news and local stories visit their web site at: www.dailypost.co.uk and The Caernarfon & Denbigh Herald a regional weekly newspaper - part of the Daily Post - All About Gwynedd. To read an article on this web site from the paper on 11th December, 2003 click here. 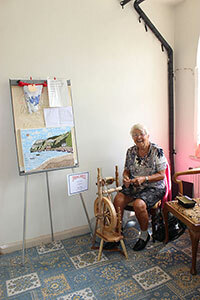 The 'Spirit of Lleyn' Art Competition - was a one-off and held at the Plas Glyn-y-Weddw. See a report about the first and last held in February 2003 - click here. 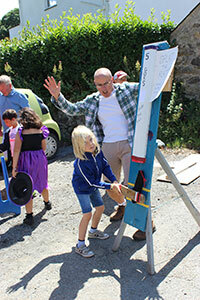 The Llanbedrog Carnival - an annual event that used to be held in July - Started at midday at The Ship with all sorts of fun for young and old alike. 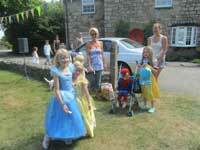 Fancy dress, visiting queens and all the fun the village has to offer. There is a parade down to the village green opposite St. Pedrog's church. 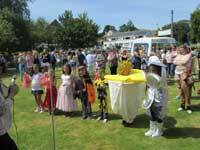 Unfortunately this carnival has now stopped because of lack of new organisers. 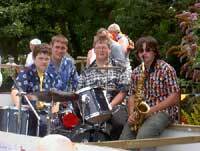 Jungle Jazz - a local jazz band that performed on a float at the 2003 Carnival. Dafydd Owen (Drums), Ellis Wyn Hughes (Clarinet), Kris Jones (Keyboard/piano) and Ben Dabson (Saxophone).